We recently published an article about why all the downtown streets have been torn up for so long — basically, the new streets strategy saves money and reduces potholes by tackling all the other below-ground stuff at the same time as a street replacement. But there's no question that the immediate impact of the street construction this season has been rough on area businesses along Lincoln and Monroe, like the French Toast children’s shop, the Tamarack Public House and the Next Door cafe. "It’s impacting sales," says Downtown Spokane Partnership President Mark Richard. "Small businesses, newer businesses [are] concerned about their ability to weather this 'positive storm' if you will." Today, the DSP and the Spokane Asociation of Realtors launched an initiative to try to drive traffic — around the detours and through the ditches and the dirt — toward the businesses that are struggling with traffic problems. "The Association of Realtors came to us two weeks ago and said, 'Hey, we’ve been talking. We want to help,'" Richard says. "'Downtown is our downtown. It’s important to us.'" 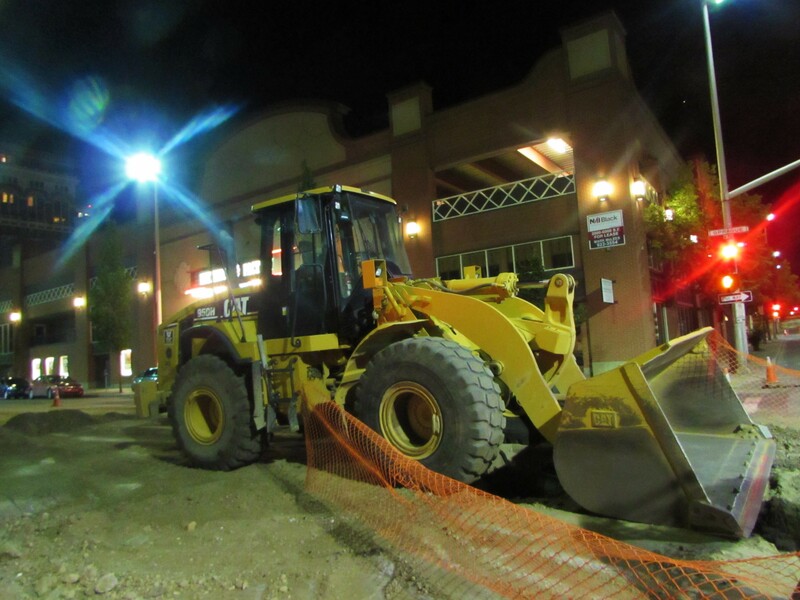 Here's what they came up with: Each week, have a local organization or government entity essentially adopt the downtown businesses, encouraging their members and employees to patronize the ones impacted by construction. Essentially, give them free word-of-mouth advertising. The first week is the Spokane Association of Realtors turn, Richard says. "They're encouraging their members to get downtown and wine, dine, see a show, or rent a room," Richard says. "Just put your money out there with support for the businesses." Next week, the Spokane Home Builders Association will join the campaign. Richard says they're working with the City of Spokane and Spokane County to see if they'll adopt the week after that. The hope is that will continue until the end of construction season. "If it drives some good foot traffic and people are supportive of it and embrace it ... we'd look to replicate it next season as well," Richard says. Meanwhile, Scott Simmons, the city of Spokane's director of Business and Developer Services, says that the city has taken some important lessons from the spate of construction about the impact of doing so much street work at one time. "During the winter months, the citizens were saying, 'Go! Go! Go! Let's go get the streets going,' Then, towards the middle of construction season, they're saying 'Stop stop stop, this is a lot,'" says Simmons. "We know there's a tolerance level. And we think we've reached that." Perhaps potholes aren’t just another inevitability we have to weather.